The Human Relationships Option in IB Psychology is one of the optional topics and is assessed in the Paper 2 SL and HL examinations. Just Give Me the Answers! is the ultimate guide to answering the Human Relationships extended response essay questions and is your ultimate advantage when it comes to sitting the Paper 2 IB Psychology examination. All possible Human Relationships examination questions have been covered with a model answer personally prepared by Derek Burton. Each model answer is guaranteed to be awarded the full 22 marks if the student can reproduce it in the examination. Further, each model answer is perfectly aligned with the theories and research targeted in the teaching and study resources used throughout this website. Just Give Me the Answers! provides you with the model answers to use in the examination, and the studying and learning resources in this members only section enable you to understand, practice and revise your way to the perfect IB Psychology score. It is how you get a 7 in IB Psychology. "Mr Burton, this is probably the most useful and effective revision guide across all of my IB courses ... it's saved me so much time and effort. Thank you." Within IB Psychology, the Psychology of Human Relationships option looks at the nature and causes of relationships between people. this includes the origins of attraction and friendship, the nature of romantic relationships, and how these relationships change and end. The darker side of human nature is also considered, with a focus on why we occasionally fail to help others in need or are violent towards others in our own social group. The ultimate aim of this study is to understand our relationships with others and to improve the quality of these relationships. As with other options in the IB Psychology course, you are expected to pay attention to the relative contribution of the different levels of analysis to our understanding of human relationships. there is a significant contribution from evolutionary psychology in terms of why we engage in altruistic behaviour and why we are attracted to some people more so than others. Cognitive models are used to describe the decision-making processes in bystander intervention, and in the origin and breakdown of relationships. there is a lot of research attempting to investigate the role of cultural factors in attraction and the formation of relationships. There is also a significant contribution from social and cultural norms to the occurrence of violence. Research supports most of the ideas covered in this section using a range of methods, including experiments, interviews, and questionnaires. 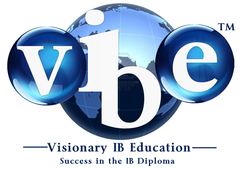 There is a lot to understand, learn and memorise for your IB examinations in the Human Relationships Option within the course. There are 13 different learning outcomes, all of which are exact matches for exam questions and any of these could be asked in the exam as an extended response questions (22 marks). Attracted by the smell of a sweaty t-shirt? A powerful documentary on school bullying. To what extent do biological, cognitive and sociocultural factors influence human relationships? Evaluate psychological research (that is, theories and/or studies) relevant to the study of human relationships. Distinguish between altruism and prosocial behaviour. Contrast two theories explaining altruism in humans. Using one or more research studies, explain cross-cultural differences in prosocial behaviour. Examine biological, psychological and social origins of attraction. Discuss the role of communication in maintaining relationships. Explain the role that culture plays in the formation and maintenance of relationships. Analyse why relationships may change or end. Evaluate sociocultural explanations of the origins of violence. Discuss the relative effectiveness of two strategies for reducing violence. Discuss the effects of short‑term and long‑term exposure to violence. Each of these IB Human Relationships learning outcomes is covered in full in the members area and model extended response answers are provided in the the interactive digital book, Just Give Me the Answers! which, of course, members have full access to, and it can also be purchased as a learning and teaching resource on its own.